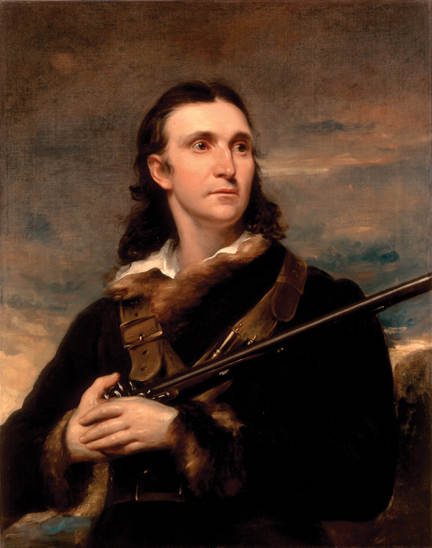 It is no small irony that John James Audubon hunted birds. He found it necessary to shoot most of his subjects in order to document them. His enduring legacy is nonetheless one of conservation. Six of the birds the Haitian-born naturalist meticulously illustrated in the early 1800s — with strokes so fine a magnifying glass is required to appreciate the details — are now extinct, others threatened or gravely endangered. Today his legendary work resonates globally and locally. The first Audubon-named society was founded in 1896 in Massachusetts, born of outrage over the slaughter of millions of waterbirds for millinery during that era. The unfortunate fashion trend prompted similar chapters to spring up across the country. Perched in the heart of the 33143 on Sunset Drive just east of Red Road, Tropical Audubon Society traces its founding to April 16, 1915. Plume hunters had been exploiting the wealth of birds nesting in Florida’s vast wetlands for decades. Entire colonies of herons, egrets and spoonbills were being decimated. Area residents were compelled to take a stand. The fledgling “Cocoanut” Grove Audubon Society that emerged would play a significant role in protecting remaining waterbird populations and in designating the Everglades as a National Park. After a WWII hiatus, its members reorganized as Tropical Audubon Society in 1947. 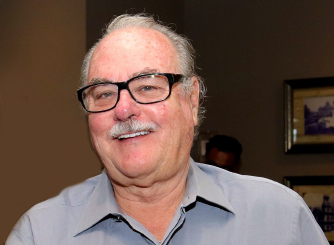 The highly vocal group has since evolved into “South Florida’s Voice of Conservation” and regularly tackles big-picture water and habitat issues such as Everglades Restoration, Sea Level Rise and preserving the Urban Development Boundary. Tropical Audubon Society (TAS) has marked its Miami Centennial with a slate of recent celebratory and educational events on its 3-acre Steinberg Nature Center campus, among them “Walk in the Woods with Wine & Whisk,” “International Migratory Bird Day,” “Birdstock” and “WingDing.” TAS also cohosted a reception with Audubon Florida on April 16 at History Miami to highlight “The Complete Audubon” exhibit, which hung through May. 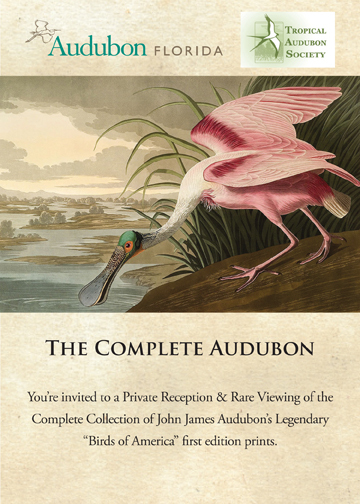 Curators presented John James Audubon’s unparalleled, 435-print First Edition “Birds of America” Elephant Folio — a feat never before accomplished at any museum here or abroad. 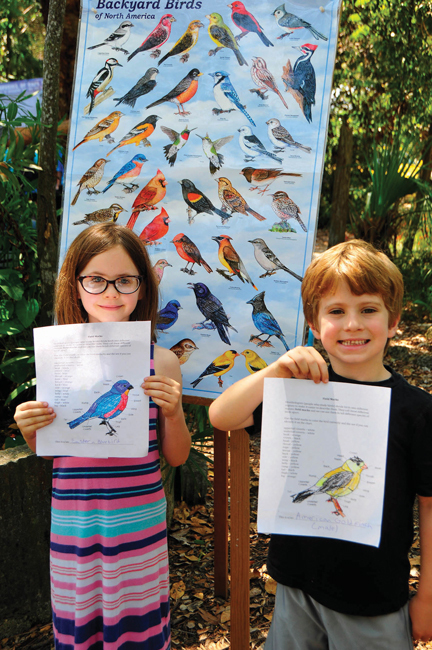 Young Picassos Frances and Vincent demonstrated their artistic talents while learning more about the birds who make South Florida home year-round and those who simply stay long enough to refuel. 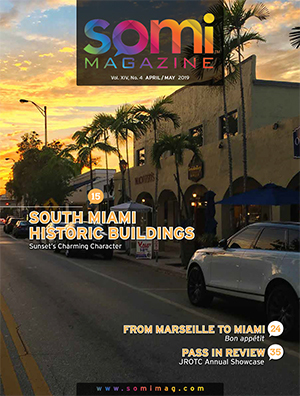 Last summer, the Dade County Landmark “Doc Thomas House” that serves as TAS headquarters earned National Register of Historic Places status — a coup that better assures the nonprofit’s ability to fundraise for education, advocacy and outreach into its second century of service. Explore the enchanting Steinberg Nature Center stewarded by Tropical Audubon Society. 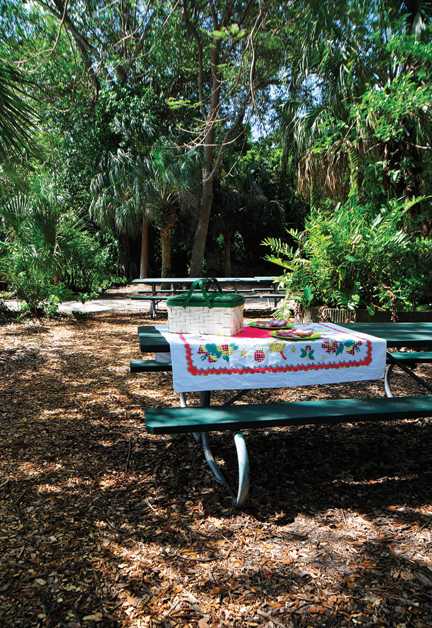 Bring lunch or dinner and picnic under a canopy of oaks. 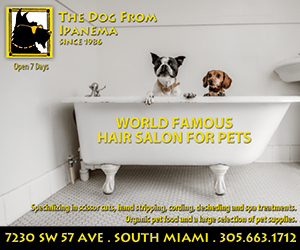 Access the grounds from sunup until sundown via pedestrian gates located on 56 Avenue and Sunset Drive. Elizabeth Smith is a Tropical Audubon Society board member. She cofounded Wine News magazine and 4design, the latter a media group she presently directs.